Dalisa is a Yawuru/Bardi woman born and raised in Broome. She is a founding member of Marrugeku (1994) and Co-Artistic Director since 2009 and a choreographer and dancer with the company. After completing an Advanced Certificate in Aboriginal Musical Theatre (1993) Dalisa performed in Jimmy Chi’s Corrugation Road and Bran Nue Dae (Cabaret). She has been a co-devising performer on all Marrugeku’s productions, touring extensively overseas and throughout Australia with Mimi (1996), Crying Baby (2001), Burning Daylight (2006) for which she was also assistant choreographer/cultural liaison, and Buru (2010), which she also conceived, choreographed and co-directed. Dalisa’s first solo work Gudirr Gudirr premiered in 2013 and has since played across Australia, Europe, the UK and Canada and at the Tjibaou Cultural Centre in Nouméa. Gudirr Gudirr has earned Dalisa and Marrugeku collectively an Australian Dance Award (Outstanding Achievement in Independent Dance 2014), a Green Room Award (Best Female Performer 2014) and was nominated for a 2014 Helpmann Award. Dalisa most recently performed in Cut the Sky (2015), which she co-conceived with Rachael Swain and co-choreographed with Serge Aimé Coulibaly. 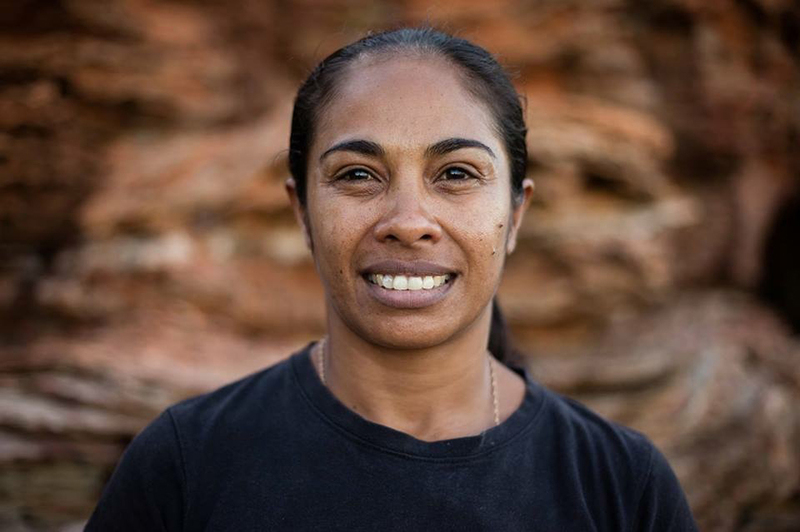 Dalisa has co-curated (with Rachael Swain) Marrugeku’s four International Indigenous Choreographic Labs and is also a Yawuru language teacher at Cable Beach Primary School in Broome.